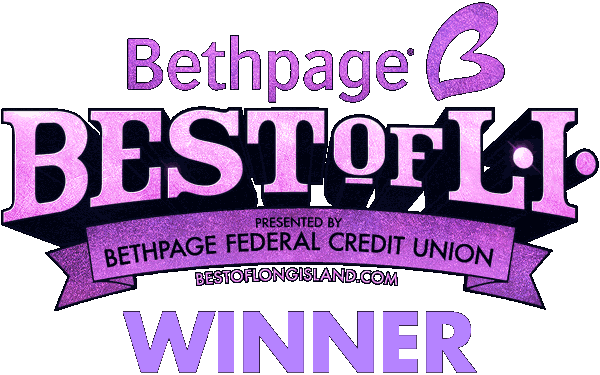 Winner of "Best Wedding Band on Long Island" 4 years in a row! "Is there anything this wedding band can't do? Whether it's rock, hip-hop, disco or country, Rhapsody knows how to keep the party going late into the night. The band is led by Charlie D'Oria and Greg Warnokowski featuring a great blend of male and female voices. Their musical variety offers something for everyone at your wedding, from your standards-loving great aunt to your super-cool Spotify-subscribing cousin, and their technical expertise makes all those songs blend and twirl into one magical soundtrack." Mike and I cannot express how glad we are that we got to share our wedding day with you and your AMAZING band. Leading up to the event Greg called us and gave us his cell phone even when he was going on vacation, just to make sure we could reach him in case we had any last minute questions. Your team was the most responsive and professional team that we worked with across all vendors. We had heard Rhapsody at your showcase and knew you would be good, but your performance at our reception way exceeded our expectations. You took our black-tie, swanky, five-star Manhattan hotel wedding over looking central park and made sure that it was classy and fun, not stuffy. The dance floor was packed the entire evening (we even re-watched the video to make sure we didn't remember it differently and it truly was full the entire evening). We were so impressed with how your band read our crowd and kept them dancing. At the end of the evening our crowd was not ready for you guys to stop and they began chanting songs for an encore (as if they were at a concert), it was incredible! Even two months later people are still calling us to tell us that we had "the best band they've ever heard". Thank you for making the planning process stress free and our reception more magical than we could have imagined. Please, please let us be a reference for your team - especially for any NYC weddings. You guys are the BEST and we cannot thank you enough! I just wanted to send a quick thank you to you and the other members of Rhapsody for what I can only say was the best wedding ever =) I might be biased but I really can not say enough good things about you guys. The ceremony, cocktail hour and reception music was absolutely perfect! Everyone keeps raving about you guys and they all have great things to say! During the planning process I know we were slacking with our music selections and all the choices etc. that you needed from us for things to go smoothly but you made it so easy with the communication. For your patience and keeping on top of us thank you! For being such an integral part of our wedding day and for making our wedding the best party thank you! I will absolutely be recommending you to anyone that will listen!!! Andrew and I can't believe it's been over a year already since our wedding. We were so happy with Rhapsody and you know that we loved having you all play at our wedding. Family and friends continue to talk about how wonderful the band was at our wedding. Hope all is well. Just wanted to say hi and even a year later, say THANK YOU for everything. We had an amazing wedding day last July and you and the band helped make it so special. I can not begin to tell you what a blast we had at our wedding thanks to you! We heard you playing Three Little Birds as we lined up for our entrance and from that moment I knew you were going to be even more incredible than we had already thought. You absolutely rocked Handclap for our entrance, as you could probably tell from our excitement when we entered. Your energy was infectious. The ladies working the doors for the bridal party entrances had to tell us all to quiet down because we were being too rowdy for them to hear when you were announcing us! It was the perfect song to get the night going, and thank you so much for learning it for us. I remember at one point during the night I looked around and realized that so many people were up dancing that there was literally not enough space on the dance floor for everyone. But that didn't stop them... people were overflowing onto the carpet! Everyone from my 12 year old cousin to my 90 year old grandmother was on the dance floor! You were certainly the topic of conversation at breakfast the next morning. Everyone was so impressed by your energy and versatility. So many people wanted to know how we found you! You took what was already an amazing day and just put it over the top. Thank you so much. Thank you for a wonderful performance on my wedding day (5/29/16). Your band was amazing, and all of my guests loved the music that you played. I appreciate Rhapsody's hard work, and thank Rhapsody for making everything easy and flawless! The music made the whole wedding. Almost everyone danced the entire time you played. And we were amazed that you sounded better in person than we could have ever expected. In fact, you sounded better than some of the original artists! You probably don't know that my son-in-law is a very talented musician and many of the guests at the wedding were accomplished musicians as well. They certainly recognize real talent when they hear it, and they were all full of praise at the talent of all your musicians. Your vocalists are extraordinarily talented as well and able to perform an amazing and diversified range of music genres. We found out after the wedding that the owner of Duckwalk, who usually leaves early, told his staff that he was going to stick around just to listen to the great band!!! The manager told me that was a first for him! On the business end of our relationship, my husband was so impressed by the ease of dealing with you. He felt you accommodated his every request and were knowledgeable, professional and incredibly helpful. You never made us feel like a bother with any request. Thank you for making the music part of our wedding plans so easy to book at a time when we were so overwhelmed with so many details. We can only hope to have the pleasure of listening to you again. We do have two sons who may need your services one day so who knows!! We wish you all the best. Please thank everyone in the band for us. They were wonderful and a delight to listen to!! We are still reliving last weekend and had an absolutely amazing time!!! We just wanted to let you know that a huge part of that is because of Rhapsody...you guys were amazing and seriously rocked!! You had everyone on the dance floor the whole night, including us, and all of our guests are still raving about how awesome the band was!!! Thank you so much for everything, you guys are the best!!! I just wanted to thank you again for the amazing musical experience you provided at our wedding almost a year ago on August 10, 2014 at Temple Beth Shalom in Roslyn. We had a chance to watch our video recently and it is clear that "Rhapsody" made our reception everything we could have asked for! The dance floor was packed all night and you brought such positive and fun energy to our reception. You made our day so special, you were all amazing to work with, and we really appreciate everything you do! Sarah & I wanted to send you a quick note of thanks. So many people had such a great time on Saturday, and a big part of it was due to your band. We couldn't be more pleased. Just so much great music. I must have had 20 people say to me: "I haven't danced this much in years." Anyway, we had so much fun listening to Rhapsody. You guys, along with Ellen and Will & the entire crew, made our wedding celebration so wonderful and memorable. We wish you much happiness and success in the future. If you would share our gratitude with the rest of the band we would appreciate it. Keep making great music. All the best, Brian - April 25, 2015 (Martha Clara Vineyards) - PS: "These Are The Days"..... nailed it. Thank you. Thank you all for such an amazing night! We had an unforgettable wedding and ALL of our guests are raving about our awesome band. You not only put on such a great show, but we appreciate how wonderful you were about making us and Kevin part of it. We just wanted to take a minute to thank you and the entire Rhapsody band for making our wedding so phenomenal! You guys were great and kept the party going all night and our guests were all so impressed! Please let everyone know how happy we were with all the music and the entire party experience! I personally want to thank you for a terrific night. You and your band were tremendous! Everyone was flying with compliments about Rhapsody. Impressive in every way!!! I know I seemed worried about everything and anything. I was! But as the wedding night began I knew we were in great hands! Thank you and Will and Ellen and the rest of the band for glowing! One of our guests didn't know if she wanted to dance or just stand there and listen like she was at a concert! Hope I have the pleasure of seeing your band at other celebrations. I've already been asked for your number!! Keith and I just wanted to thank you for a wonderful night. Everyone is still talking about how fabulous the band was! We enjoyed every second and appreciate the attention you gave us leading up to the wedding. Pls thank everyone in the band for us again :). This email is to tell you both just how FANTASTIC Rhapsody was last Saturday at the wedding reception and to say thank you for a completely professional, first rate experience from start to finish! There are just not enough superlatives to express how much fun we all had and I do mean every guest at that reception. Every song that Rhapsody performed was outstanding and their performance helped to make the entire reception a magical, beautiful time. Everyone in our family is still raving about them and as I talk with friends who were there, the same thing is happening. It is a wonderful feeling to know that everyone enjoyed themselves. I am telling everyone I know about them if they have an upcoming event and need a band!!! Thank you very, very much for helping to make Melissa and Larry's special day so memorable. Take care and wishing all of you continued success in your future. Just wanted to send you a quick email - we just got back from our honeymoon and have just been hearing nonstop feedback about how AMAZING our band was. You guys really just knocked it out of the park and we can't thank you enough for making our day SO perfect. You guys have the best energy and talent and we couldn't have been happier. Hope you had a great time as well. I am literally left speechless (very hard for me) by how AMAZING you guys were on Saturday night. We had a BBQ at our house today and people could not stop talking about you guys- their only complaint was that they were so sore and their bodies hurt from dancing so much!! I had the best time and you guys totally made the night!! Incredible- simply incredible. Thank you a million times over. I know you guys played a way longer dance set than expected and I really appreciate it. Sorry my friends are obnoxious and made you play "one more song! One more song!" It was totally epic though and everyone is obsessed with you guys. Thank you so much for a great evening!!! Everyone raved about the band and danced all night. Excellent Job!! We just wanted to write to you and the rest of Rhapsody to give you a HUGE thank you!!! You all were AMAZING from beginning to end, and everyone is still talking about what a great time they had, thanks to you! We were so impressed with how well you did all of the songs we requested, especially my Hanson song :) I wrote you a glowing review on The Knot website, and you will all receive our highest recommendations when people are looking for a band!!! Just wanted to send a quick note to thank you & the rest of the band for an awesome wedding! You guys were great, as you could probably tell from the fact that not too many people sat that night! Our guests were raving about how awesome you were & we agree. I wish that we could do it all over again, but we'll be sure to recommend you to others in the future! I just wanted to reach out to extend a big THANK YOU to you & the band for providing amazing music! Everyone had a blast & is still talking about it a week later. Dan and I had an amazing evening & were thrilled with the band & the music. I don't feel like we got to thank you enough that night, as we were a bit distracted :). Thank you again for everything! If there's any reviews that you would like us to post somewhere as a referral, please let us know. One question...do you have a list of the music you played at our wedding? Dan & I would like to make it into a playlist as a memory for the great night we had. We just wanted to say THANK YOU for making our wedding so much fun on June 24th at the Inn at New Hyde Park. We were so impressed with the band. We knew you guys were great from the showcase we came to, but the wedding was beyond anything we could have hoped for. You played so many great songs, and we really appreciate you learning all of those songs for us! The party was going all night and people were having so much fun dancing...especially us! You are such a talented group and you did an outstanding job!! Everyone was raving to us about our band and we just wanted to let you know how happy we were!! Thanks for arranging everything with my dad and sister so they could sing...those songs sounded great as well! Everything was perfect! I just wanted to Thank You & Rhapsody for everything! You made our wedding an event & we still have not stopped getting compliments about how fantastic you guys were! There are already ideas to have a party at the house next summer & have you guys play! Hope the rest of your summers were great! Greetings from our honeymoon in Antigua! I just wanted to thank you for a great wedding. You guys were perfect. I appreciate your patience with me. I just wanted to thank you once again for another great night at our annual Holiday party. You guys are great! Please keep our date available for next year, 2008. My in-laws are throwing a 50th wedding anniversary next Spring at the Swan Club. They would like to hire a band. We would love to hire you guys for that affair as well. Let me know if you are interested and/or booked. Again, great job last night!! Thank you so very much for everything! Your band was fantastic. You guys did such an unbelievable job! Everyone danced all night and we have received non-stop compliments about your band. I'm sure you will get many calls from our friends getting married! John and I would like to thank all of you for the great job you did at our wedding at the East Wind. Everyone said you were great! Thank you for learning the Irish tunes for my family too. They were very impressed!! We had a great time as I hope you all did. Thanks for doing such a great job and for making our day so special. You guys were amazing!!! Thank you so much for playing our wedding. We have received countless compliments about the band. We appreciate all the songs you learned for us. Our day would not have been the same without you! We have been spreading the word to all of our friends and family about how great you were to work with! I just wanted to thank all the members of Rhapsody for the incredible job you did at our wedding at the Westbury Manor. You set the tone for the entire day and really had everybody up dancing the whole time- even Joe! Thank you for your professionalism and the courtesy you extended to us. Thanks again for helping to make our wedding an incredibly fun event! This goes without saying, but you guys sounded amazing! I'm a big fan of Barometer Soup but, I'm so glad I had the opportunity to experience Rhapsody. You will, absolutely, be highly recommended by me to any future clients. Without a doubt. I can't even begin to tell you how thrilled we were with Rhapsody! Everyone has been raving about you! If you ever need any recommendations, please contact us! Just a short note to say thank you to you and your band members for the wonderful evening of music. You received many compliments from our guests for your artistry and selection of dance music. Everyone enjoyed themselves and you added to making Karens' Wedding Day a complete success!! Thanks again and I wish all members of Rhapsody a safe and happy summer! We just wanted to express our appreciation once again for the wonderful performance you put on for our wedding. All of our friends and family continue to rave about how awesome you sounded and many have asked for your contact information. It was so nice to see our guests out on the dance floor all night long. Quite a bunch mentioned that their feet hurt from dancing so much. You truly kept the reception going. Thank you! We just wanted to thank you guys for playing at our wedding reception. You're all terrific! We've gotten numerous compliments for you from our guests. Charlie, you sounded better than Bryan Adams singing our first dance! All of you certainly kept the party going. We especially thank you for going overtime another hour with so much energy! You are all so extremely talented. Thanks again and keep up the good music! !